lightweight, functional, as well as a hygienic means of carrying food as well as other goods. Even though they are one of the modern conveniences that we seem to be unable to do without, they are responsible for causing pollution, flood, killing wildlife, and using up the precious resources of our planet. Plastic bags litter the landscape. 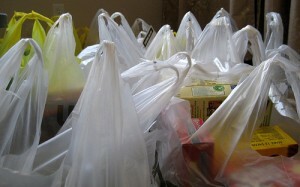 Once they are used, most plastic bags go into landfill, or rubbish tips. Each year more and more plastic bags are ending up littering the environment. Once they become litter, plastic bags find their way into our waterways, parks, beaches, and streets. And, if they are burned, they infuse the air with toxic fumes. Plastic bags kill animals. About 100,000 animals such as dolphins, turtles whales, penguins are killed every year due to plastic bags. Many animals ingest plastic bags, mistaking them for food, and therefore die. And worse, the ingested plastic bag remains intact even after the death and decomposition of the animal. Thus, it lies around in the landscape where another victim may ingest it. Plastic bags are non-biodegradable. 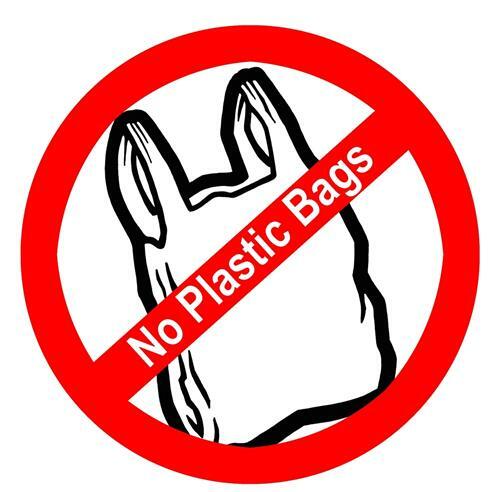 And one of the worst environmental effects of plastic bags is that they are non-biodegradable. The decomposition of plastic bags takes about 1000 years. Petroleum is required to produce plastic bags. As it is, petroleum products are diminishing and getting more expensive by the day, since we have been using this non-renewable resource increasingly. Petroleum is vital for our modern way of life. It is necessary for our energy requirements – for our factories, transport, heating, lighting, and so on. Without viable alternative sources of energy yet on the horizon, if the supply of petroleum were to be turned off, it would lead to practically the whole world grinding to a halt. Surely, this precious resource should not be wasted on producing plastic bags, should it? 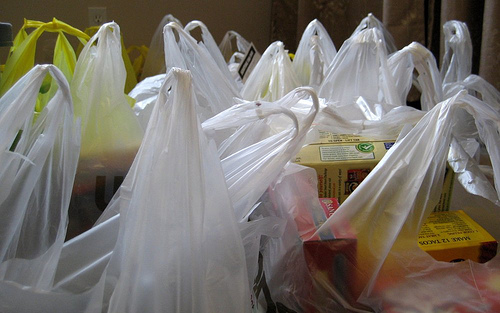 So, What Can be Done about the Use of Plastic Bags? Single-use plastic bags have become such a ubiquitous way of life that it seems as if we simply cannot do without them. However, if we have the will, we can start reducing their use in small ways. A tote bag, bayong, basket can make a good substitute for holding the shopping. You can keep the bag with the attendant, and then put your purchases into it instead of the usual plastic bag. Recycling the plastic bags you already have is another good idea. These can come into use for various purposes, like holding your garbage, instead of purchasing new ones. While governments may be working out ways to lessen the impact of plastic bags on the environment, however, each of us should shoulder some of the responsibility for this problem, which ultimately harms us.